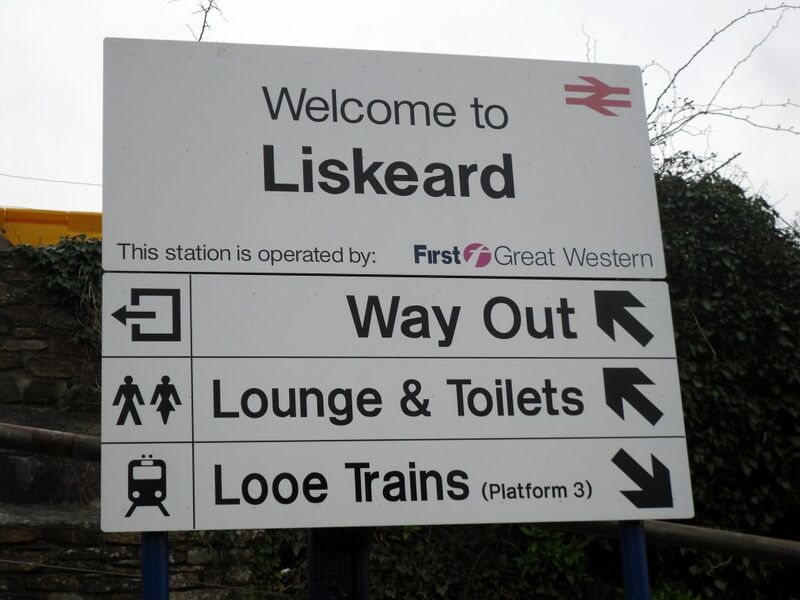 The train ambled back north along the Looe Valley Line, taking me back to my starting point, Liskeard (pronounced “Lis-card”, obviously). No calls at any of those lovely little halts on the way back: Sandplace, Causeland and St Keyne all passed by unnoticed. Then we reached Coombe Junction – no stop at the station this time, the driver and guard donned their high-vis vests, operated the points, changed ends and set off again. As we headed for the end of the line, the single-coach train had to work hard for the first and only time on its journey. The noise and vibration from the underfloor diesel engine increased noticeably as we attacked the steep gradient. The wheels too, complained bitterly – squealing as they followed the tightly curved track. Finally the din subsided and the train rolled up to the buffers of the branch platform at Liskeard. My name is Robert. 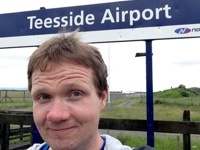 I'm on a quest to visit the UK's obscure, underused or prettily-named stations. Jason on I’ll give ’em Watford!